Do I Need Both Rows to Complete Invisalign in Westampton? If you’ve been considering trying a new way to straighten teeth, then exploring the possibilities of Invisalign in Westampton is a step in the right direction. Understandably, when you hear that an orthodontic system is practically invisible for the very first time, you have a lot of questions. We’re going to cover some of the most asked questions about Invisalign here so that you can determine if this is the best treatment for you. It’s invisible. It’s comfortable. It’s removable. It’s faster than braces. Yes—all of these things are true! You might be wondering how is this even possible? This sounds too good to be true. Don’t worry, we’re going to dive right into some of the questions that are probably going through your head right now. As mentioned above, there are many benefits that come with Invisalign. It’s all because your customized straightening system is crafted from smooth, clear, plastic, removable aligners that you simply wear for the majority of the day. You can remove them to eat, drink, and brush your teeth, but wearing them for at least 22 hours a day (as recommended) is easy because hardly anyone can tell you’re wearing them. What if I only need my top or bottom row of teeth straightened? You’ve seen people with braces only on the top or bottom row before because that’s where they needed treatment. There’s no sense in making you wear two rows of aligners if you only need one. However, the best way to determine this is by visiting your cosmetic dentist in Westhampton for a consultation to determine your oral health needs. Do I need to wear a retainer afterward? To maintain your straightening results after the treatment is completed, you will need to wear a retainer. It’s not too much different from actually wearing your aligners, so you’ll easily adjust to it. This phase is completed relatively quickly, solidifying your straightening results for years to come! How can your dentist help you get Invisalign? Your dentist in Westampton is who can get you Invisalign in the first place. Scheduling an initial consultation with them will give you an opportunity to explain your needs, wants, and budget to make sure that Invisalign is right for you. If you and your dentist agree that it’s time to move forward rather than exploring other options, your dentist will take your impressions and have them sent to a nearby lab for creation. In no time, you’ll have your series of custom aligners to start your treatment! Here at Mt. Holly Family Dentistry, our dental office works to help patients meet their smile goals both aesthetically and also to help them boost their oral hygiene. Invisalign allows us to improve their health without compromising a patient’s appearance. Contact us today to explore this option for yourself. 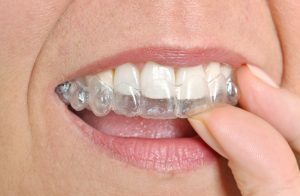 Comments Off on Do I Need Both Rows to Complete Invisalign in Westampton?